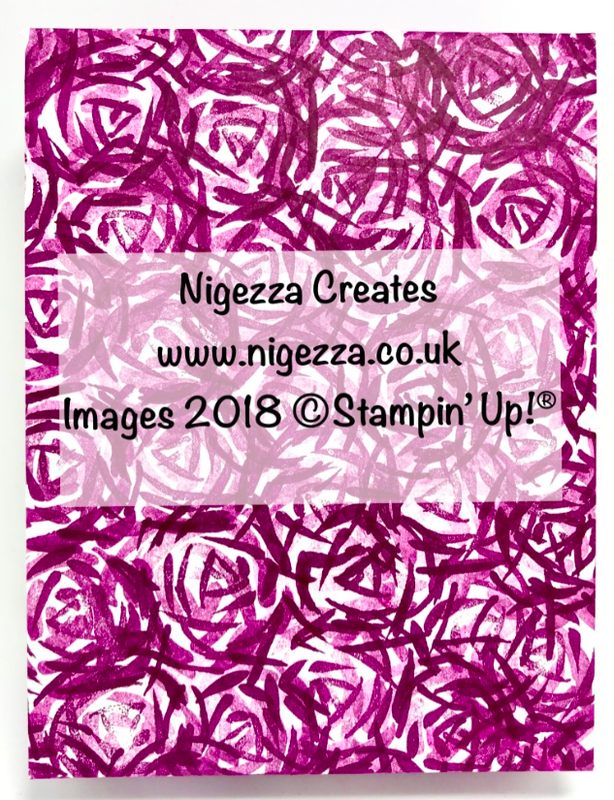 Hi and thank you for joining me today. 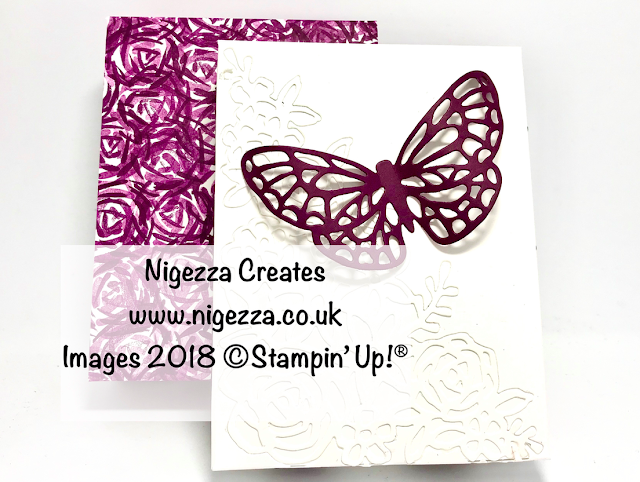 I am using Stampin' Up! 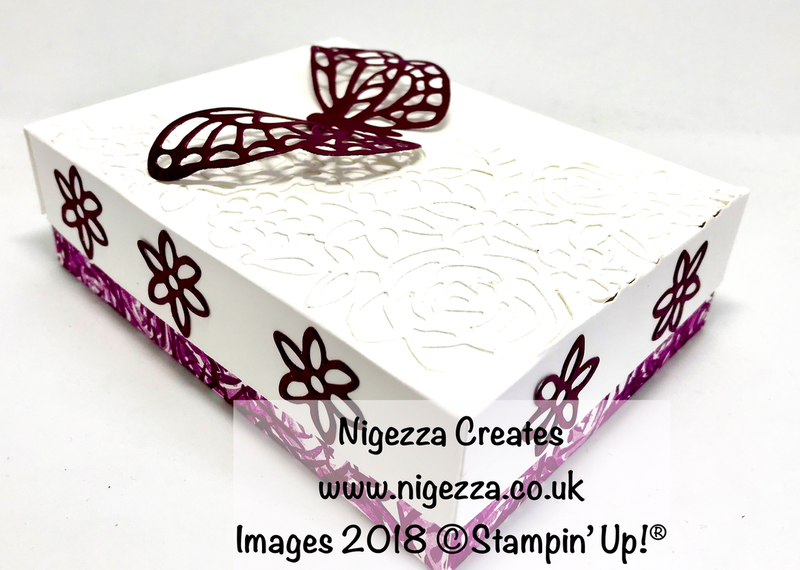 Abstract Impressions today to make this beautiful gift box. 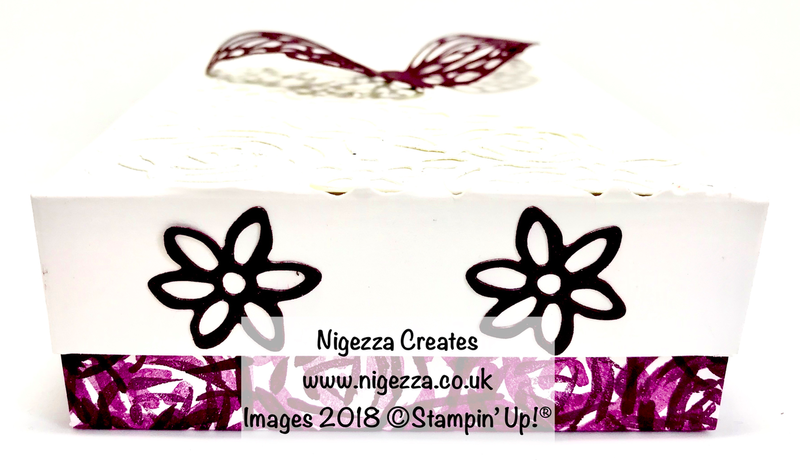 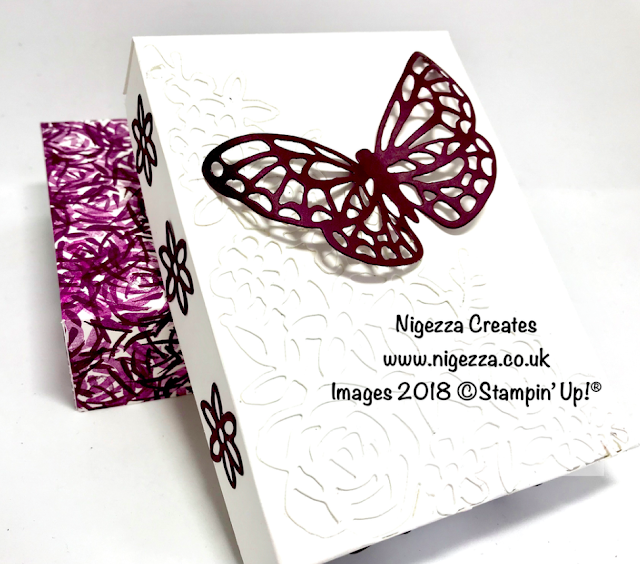 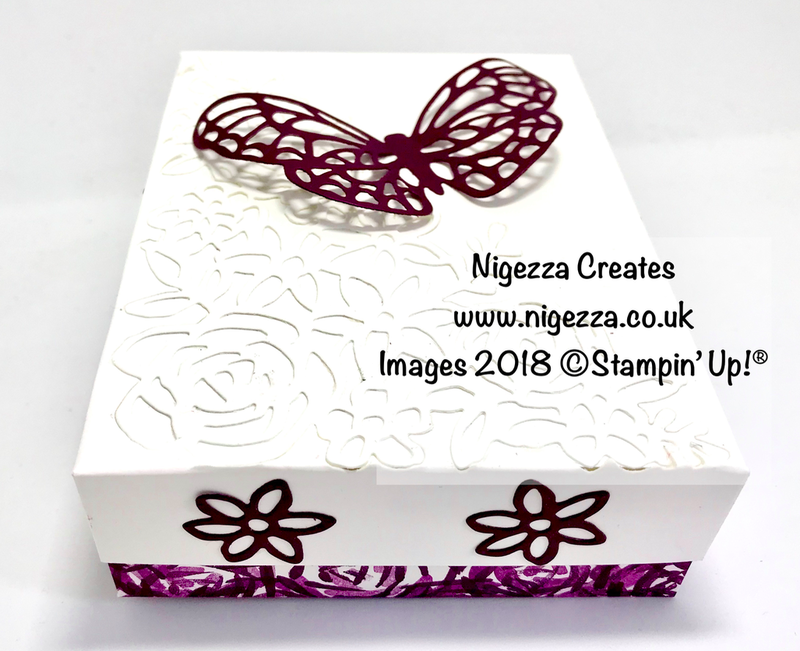 I have hand the box base and invade the lid with the floral corner die and added a butterfly on top. 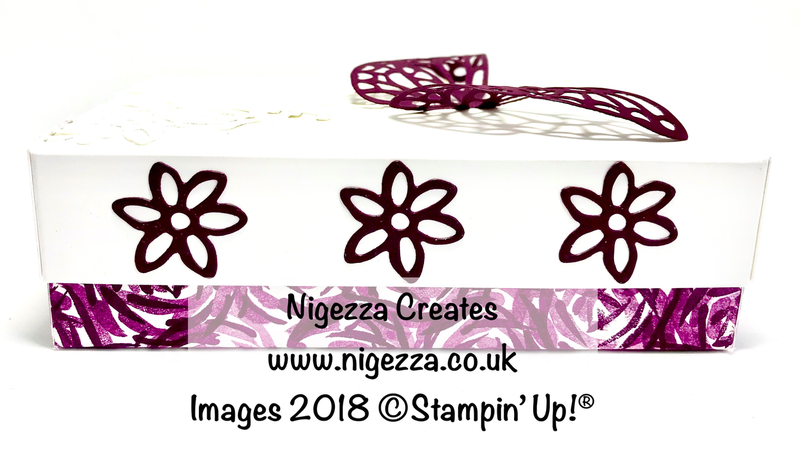 Whisper White A4 Card Stock 5 5/16" x 4 1/16"
I hand stamped the base using 2 of the large flower stamps from Abstract Impressions. I do hope you enjoyed this project, I really enjoyed making it and will be back with a matching card soon.